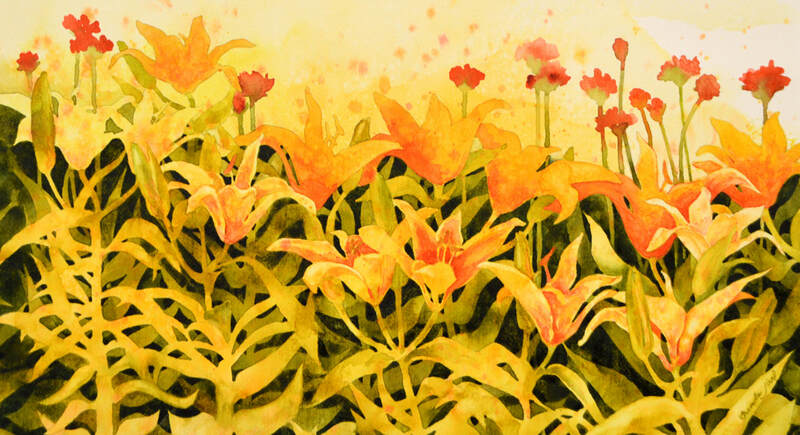 Painting Size: 22" x 12"
​A lively group of lilies and vermillion-hued flowers dance under the Summer sun. This painting evokes all of the joy of a warm, Summer afternoon. Prints starting at $27. Check out all of the available options ranging from framed prints, greeting cards, pillows, phone cases and more!